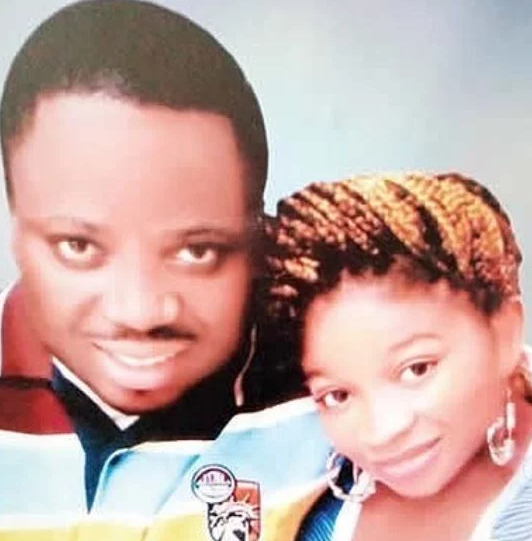 Olaoluwa Adejo, a 32-year-old bank worker has been arrested for the death of his 28-year-old wife, Maureen, at their home on Peluola Street, Oworonshoki, Bariga, Lagos State. Olaoluwa was alleged to have tortured his wife of five years with a belt, as well as cutting her with a machete. Their 5-year-old son, Richard, who witnessed the incident, said that his father also forced a local insecticide, otapiapia, down the throat of his mother. My daddy slapped my mummy. My mummy did not do anything to him. My daddy gave her one blow. My daddy kicked her. Small blood came out. My daddy slapped her, kicked her, machete her, blow her, and put otapiapia in her mouth and in the food,” Richard said. The victim’s mother, Mrs. Kate Jonathan, explained that her daughter had moved out of her matrimonial house five days prior the incident and was living with her but decided to return for a party at the children’s school. She said her daughter never returned alive.